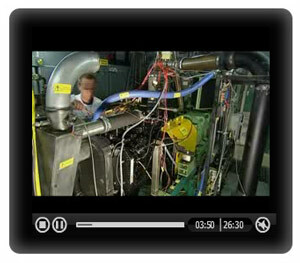 "© Copyright CO2 Capture Project www.co2captureproject.com"
This video was originally released in 2004 to introduce the projects and results of the CO2 Capture Project. 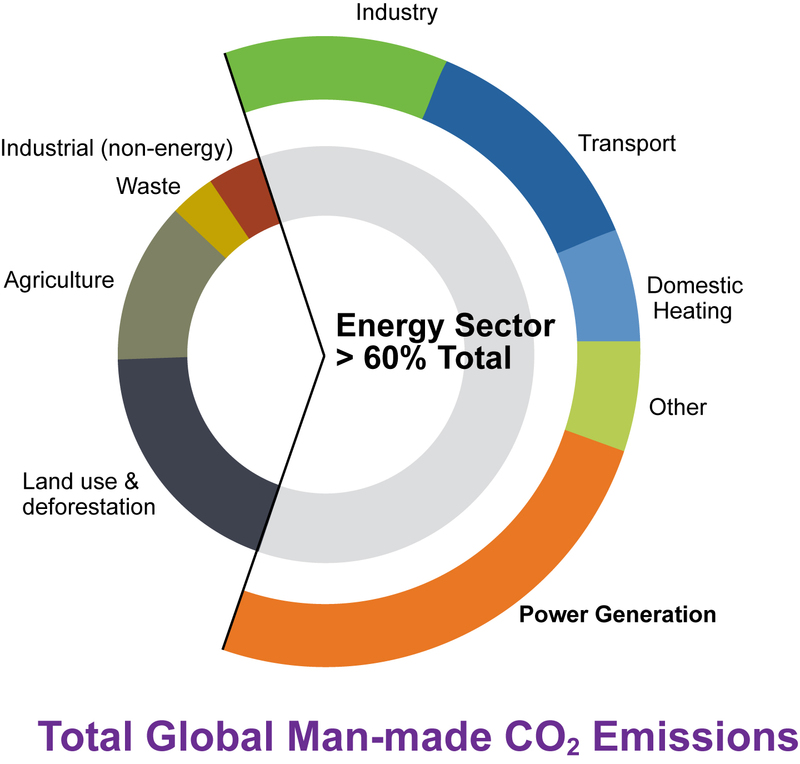 It includes background information on climate change, an overview of CCP Projects at the time, and interviews with representatives of NGOs, government organisations and companies who are developing a new generation of carbon dioxide capture and storage technologies. 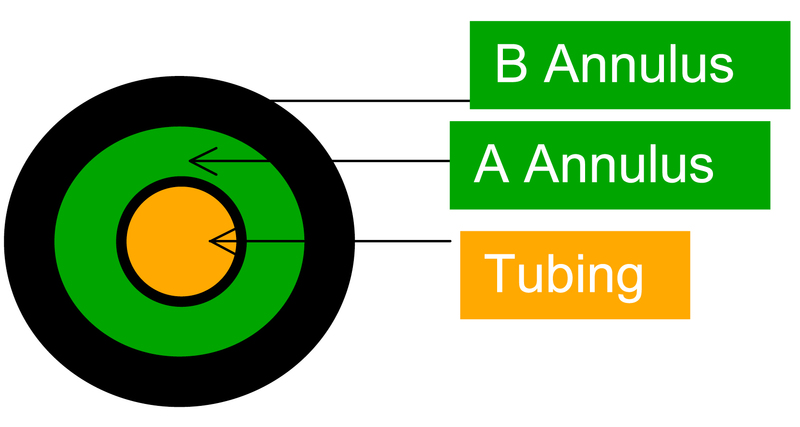 The four phases of CCS projects. 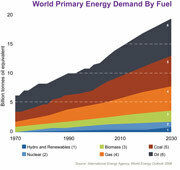 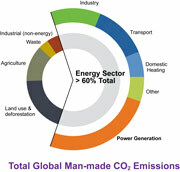 Taken from the CCP publication, A Technical Basis for Carbon Dioxide Storage. Typical uncertainty diagram for oilfield developments. 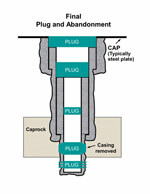 Taken from the CCP publication, A Technical Basis for Carbon Dioxide Storage. 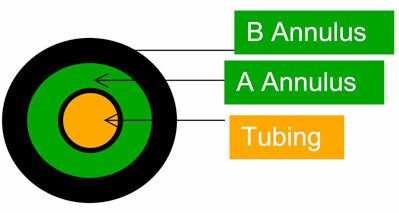 The annuli are named from "A" to "B" or higher starting adjacent to the tubing. 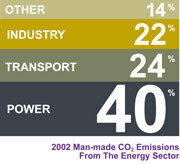 Taken from the CCP publication, A Technical Basis for Carbon Dioxide Storage. 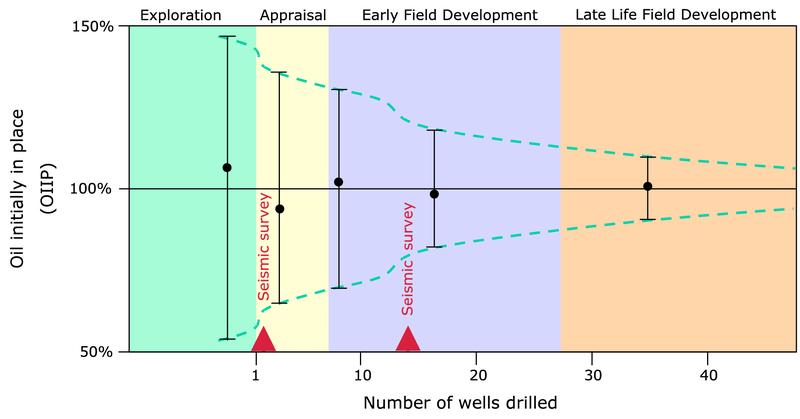 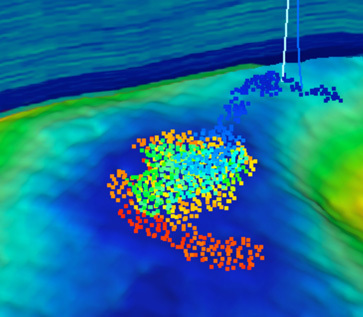 Example model of long-term migration of a CO2 plume from injection wells towards the top of the storage structure. Color indicates CO2 migration time sequence from start of injection (blue) to about 40 years of injection (red). 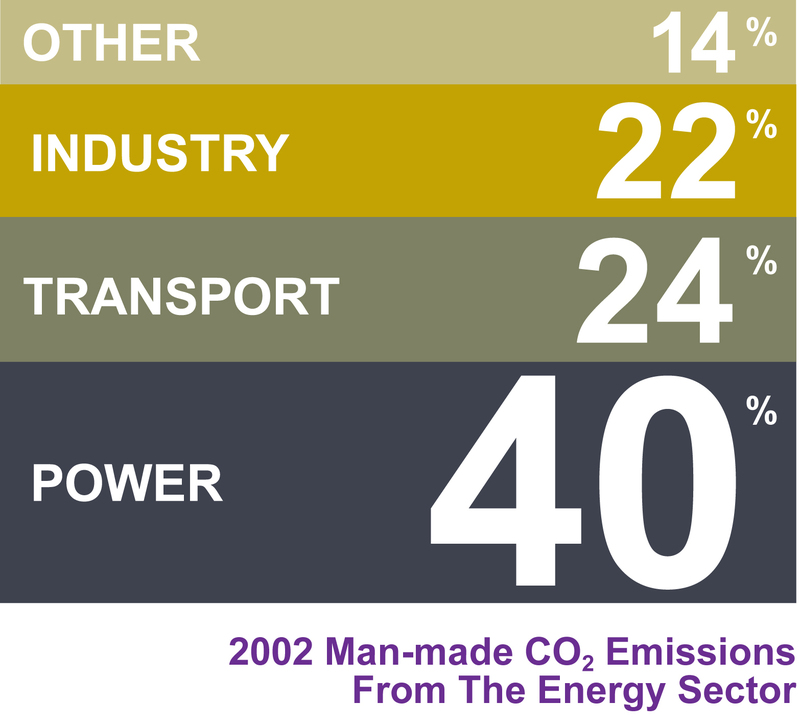 Taken from the CCP publication, A Technical Basis for Carbon Dioxide Storage. 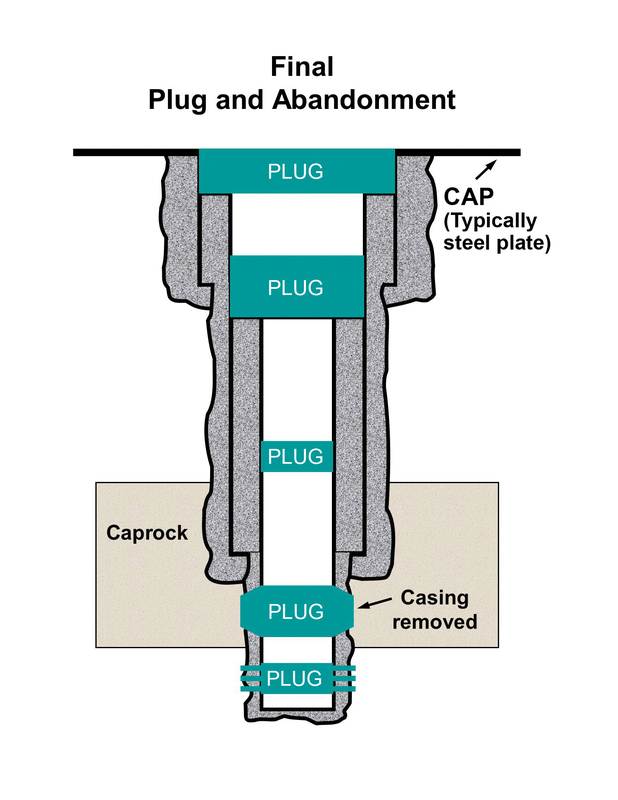 Typical plug and abandonment. 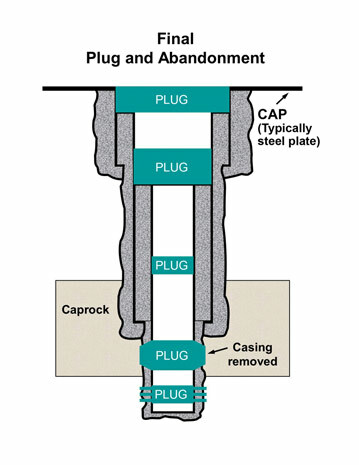 Showing from bottom-up: plugged injection zone, plug in caprock interval which includes drilled casing; plug above caprock, plugs at top of casing and steel plate at surface. 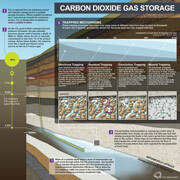 Taken from the CCP publication, A Technical Basis for Carbon Dioxide Storage. 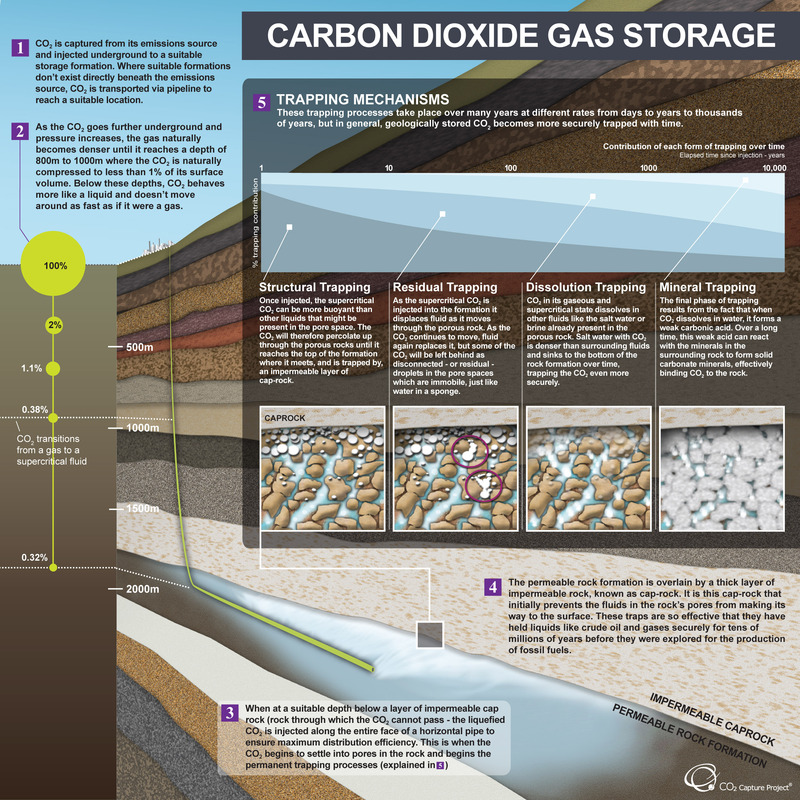 A visual explanation of carbon dioxide gas geological storage with the four trapping mechanisms presented at scale. 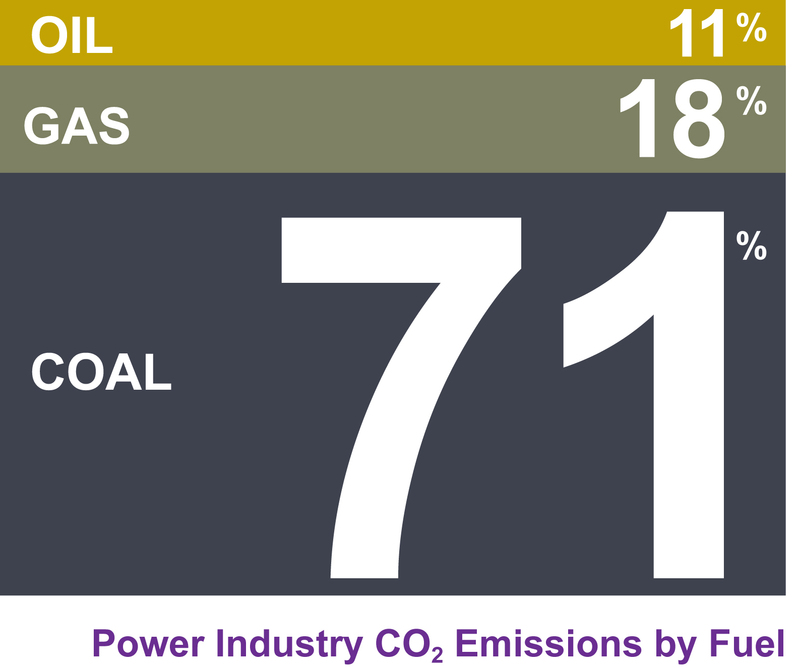 Adapted from the Princeton Carbon Management Institute.